Genetic counseling is an integral part of advancing human genetics in medical care and vital to our collective research agenda. Recognizing this, ASHG took action last week in strong support of H.R. 7083, the Access to Genetic Counselor Services Act of 2018, which would expand access to genetic counseling services for Medicare beneficiaries. We took this action under the leadership of the National Society of Genetic Counselors (NSGC), and are proud to add our largest voice in the human genetics community to urge this policy change. NSGC is our valued partner on this legislation and other new programming to serve genetic counselors in research. Specifically, I wrote to bill sponsors Representatives Erik Paulsen (R-MN) and David Loebsack (D-IA) expressing the Society’s gratitude for introducing this legislation and for seeking to resolve a problem that has existed for many years (see image). Currently, while genetic counseling is covered under Medicare, genetic counselors themselves are not currently recognized as providers by the Centers for Medicare and Medicaid Services, the federal agency that runs the program. This means that genetic counselors are unable to bill directly for any services rendered to Medicare beneficiaries. The letter written by David Nelson, PhD, ASHG President, to U.S. Representatives Erik Paulsen (R-MN) and David Loebsack (D-IA). H.R. 7083 is designed to resolve this coverage gap. If it were to become law, this bill would recognize licensed genetic counselors as Medicare healthcare providers, and further establish a path for Medicare reimbursement for other genetic counselors. In this way, it will reduce the access issues to genetic counseling services currently faced by Medicare beneficiaries. For this bill to become law, it will need to be passed by Congress in the next few days. Given the many steps in the legislative process, this is highly unlikely. However, we hope that the legislation is re-introduced when the Congress reconvenes next year and that Congress advances it swiftly through the legislative process. To receive updates regarding progress of this bill and on other issues, I urge you to sign up as an ASHG Advocate if you have not already done so. David L. Nelson, PhD, is the 2018 President of ASHG. He is a Cullen Foundation Professor of Molecular and Human Genetics at the Baylor College of Medicine, Associate Director of the BCM Intellectual and Developmental Disabilities Research Center, and Director of the BCM Integrative Molecular and Biomedical Sciences Graduate Program. Buried within the legislation establishing funding for the National Institutes of Health for Fiscal Year (FY) 2019 (H.R. 6157) is a little-reported provision to protect the genetic privacy of immigrant family members. Congress often uses the annual appropriations bills to direct federal agencies on how to proceed on a particular activity or to commission a report about a particular topic. This provision, proposed by Representatives Marcy Kaptur (D, OH-09) and Katherine Clark (D, MA-05), is one such directive. In April, the Department of Homeland Security (DHS) began enforcing an existing family separation policy with the stated goal of stemming what DHS and other related agencies perceived to be a rise in illegal immigration at the U.S.—Mexico border. As was widely reported in the media, children were separated from their parents or legal guardians at the border and placed in the custody of the Department of Health and Human Services’ (HHS’s) Office of Refugee Resettlement (ORR), while the parents and legal guardians were held in criminal detention. In response, many members of Congress and the general public demanded reunification of these families, and in June a federal judge ordered that the more than 2,500 children in ORR custody be reunited with their families. To help reunite young children with their families by the July 5 deadline, HHS began using DNA testing to verify parentage. However, HHS provided few details regarding the testing, such as who was being tested, which labs were involved in performing the tests, and what testing was being performed. Importantly, there was also a lack of clarity regarding whether individuals were consenting to such testing, how HHS was protecting individuals’ genetic privacy, and how the test results could be used. The provision added by Reps. Kaptur and Clark was designed to address some of these concerns. It directs ORR to “ensure the protection of privacy and genetic material, data, or information of children, parents, and of all individuals being tested and their relatives.” It also requires consent prior to collection and sample destruction once testing has concluded. ASHG’s support for this provision is the latest way in which the Society is championing measures to protect individuals’ genetic privacy. ASHG is a strong supporter of the Genetic Information Nondiscrimination Act (GINA), which among its provisions protects genetic privacy related to employment and health insurance, as well as a similar law in Canada. It also supports provisions in the 21st Century Cures Act strengthening participant privacy in research. The Kaptur/Clark amendment extends some privacy protections to those seeking reunification and ensures that federal agencies cannot use their genetic information for any purpose beyond reunification. Nikki Meadows, PhD, is the 2017-18 ASHG/NHGRI Genetics & Public Policy Fellow. For more information on ASHG’s policy and advocacy programs, please visit the Policy & Advocacy webpage. Last month, the U.S. Congress approved legislation establishing a $2 billion (or 5.1%) funding increase for the National Institutes of Health (NIH) in Fiscal Year (FY) 2019. NIH’s total funding for FY 2019 is $39.1 billion. This includes increased funding for several priority research initiatives, such as the Cancer Moonshot and the All of Us research Initiative. The legislation (H.R. 6157) was signed into law by President Trump on September 28, after passing both the Senate (93-7) and the House (361-61). The $2 billion boost is the fourth consecutive increase in the NIH budget in recent years, demonstrating strong bipartisan support for biomedical research in Congress. Significantly, it is the first time in over 20 years that Congress has finalized the NIH budget on time. Representatives Marcy Kaptur (D-OH) and Katherine Clark (D-MA) advanced an amendment protecting the genetic privacy of individuals seeking family reunification. The amendment directs the Office of Refugee Resettlement to ensure the protection and privacy of genetic material, data, or information of children, parents, and all of the individuals being tested and their relatives. A Government Accountability Office report was commissioned to analyze the medical genetics workforce nationwide. The report is asked to determine whether there are a sufficient number of qualified professionals to serve this growing health need and whether there are any geographic areas that lack access to genetic counseling professionals. An amendment from Senator Marco Rubio (R-FL) requires the HHS Secretary to submit a report on the circumstances in which the Centers for Medicare and Medicaid Services may be providing payments to, or otherwise funding, entities that process genome or exome data in the People’s Republic of China or the Russian Federation. The fiscal year runs from October 1 through September 30 of the following year, and each year, Congress is required to establish funding for upcoming fiscal year. For the past 21 years, Congress has missed the deadline, and in order to avoid a government shutdown, had to pass a Continuing Resolution (CR) that agreed to continue to fund the government until a new spending bill was completed. Indeed, such a scenario caused brief shutdowns last winter. This year, the Department of Health and Human Services, which includes NIH, was funded through all of FY 2019, so there is no possibility of a shutdown for NIH. The budget’s timely passage means that institutes and centers can plan for the year ahead knowing what funds are available. However, other agencies, including the National Science Foundation, are currently funded by a CR until December 7, 2018, and funding for these agencies in FY 2019 remains uncertain. Ten years ago today, President George W. Bush signed into U.S. law the Genetic Information Nondiscrimination Act, better known as GINA. The enactment of GINA in 2008 was the culmination of a determined 13-year campaign by congressional champions and advocacy groups, including ASHG, to establish nationwide legal protections against genetic discrimination in the workplace or through one’s health insurance. Today, in recognition of the anniversary and the enduring importance of the law, ASHG is launching a short video to help spread the word about the law. But GINA is only effective in reassuring the public to the extent that people know about the law. Since its passage in 2008, however, studies have repeatedly shown that most individuals are not aware of GINA or its protections. A 2011 study found that only 16% of Americans knew of any law protecting their genetic privacy. Similarly, a 2015 survey of U.S. residents found that 79% were unfamiliar with GINA. This lack of awareness is found within health care too, with research finding most physicians and nurse practitioners do not know about the law. Together, these studies suggest an ongoing need to raise awareness about GINA if it is to be effective as originally envisioned. 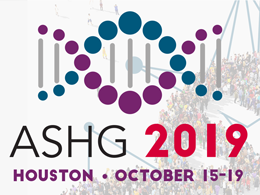 ASHG is playing its part. As well as watching the video, please check out ASHG’s statement about the 10th anniversary; today’s Research!America blog post by ASHG President David Nelson; and a blog post from former ASHG/NHGRI Genetics and & Public Policy Fellow Daryl Pritchard, reflecting on his time working in Congress on GINA. GINA is designed to prohibit genetic discrimination within health insurance. Since GINA’s passage, there has been ongoing discussion in the genetics community regarding whether there should be similar legal protections in the U.S. against genetic discrimination for ‘the other insurances’ – life, disability and long-term care, protections that go beyond the current patchwork of state laws. Two issues commonly discussed are (a) whether there is a strong, evidence-based case for establishing such protections and, if so, (b) how one would craft such a federal law, or series of state laws, to establish such protections. Let us know your thoughts below, or write to us at policy@ashg.org. For more information on ASHG programs in policy and advocacy, visit the Policy & Advocacy page.